These days our sewing machines can do so much more than the basic straight stitch. 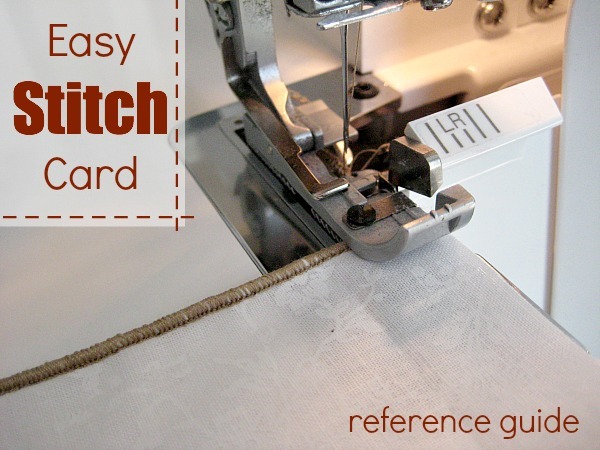 To help keep stitches straight, I suggest create an easy stitch card reference guide. This guide can provide an instant visual reference for your next project. I especially love these cards for my serger machine. They are simple to make and can be created with leftover fabric scraps. This project is for stitchers of all levels. Cut scrap fabric into squares. I cut mine 4″ by 4″ but any size will work. Pull out and refer to the owners manual to your machine. This will help you set your stitches properly. Select a stitch and sew around all four sides of the fabric square. Repeat this process for each stitch your machine offers. Tip: If using a serger, don’t forget to tuck your tail in. 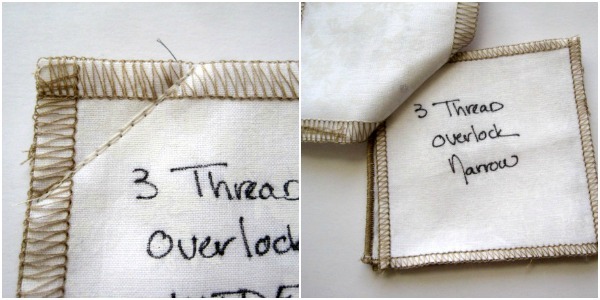 Label each fabric square with the correct stitch name and any additional notes you would like to remember. Layer your stitch cards together and run a stitch in the upper corner to create a stitch card book. Think of this new reference tool as your “little black book” of stitches. I like to keep my book tucked away with my machine. This way, when it’s late and I’m trying to remember just how much bigger the 3 thread overlock wide stitch is compared to the 3 thread narrow stitch, I can just pull out my book and look at them side by side. It really keeps things simple! 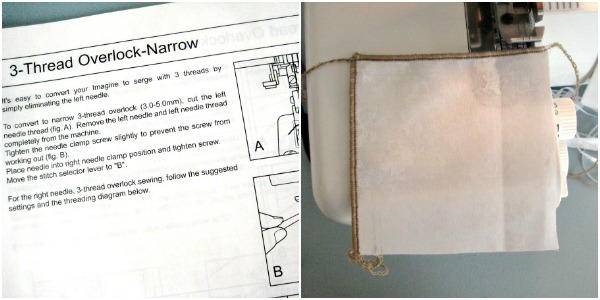 Be sure to to check out our growing library for more easy sewing tips and tricks. They are bound to come in handy during late night sewing projects! That is a good idea Teri! Maybe write it on the back of each card with any additional notes. 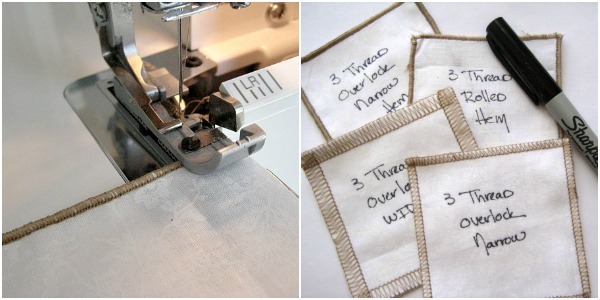 nice idea, sewing them all together, great tip….. I think making these stitch cards is a great way to get friendly with a new machine. My girls love to practice sewing all the different stitches each machine has to offer. Very helpfull, thank you for sharing. I love my “cheat sheets” as I call them – but for my serger, I color coded the threads so that when tensions aren’t perfect, it’s easy to fix! 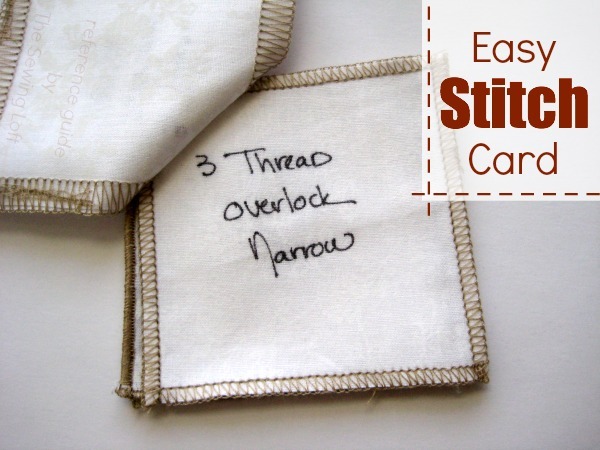 I love the Easy Stitch Sewing Card. Thanks for sharing. I punch the corner and put them onto a big ring clip – that way you can add more. My home ec teacher had us staple the samples to paper and put them into a 3-ring notebook, along with our references for things like bound buttonholes and hand stitching.